This post is part of our blog series on art therapy by our Art Center Director, Ally Root. 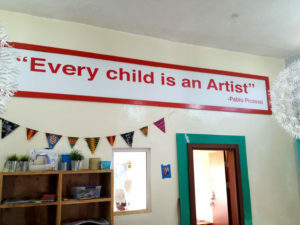 Ally is passionate about the ways in which the creative arts can bring healing, and she will be sharing her thoughts here along with projects that she has completed with the children at our Care Center in Ghana. I am so grateful for the Connor Creative Art Center at the Touch A Life Care Center. 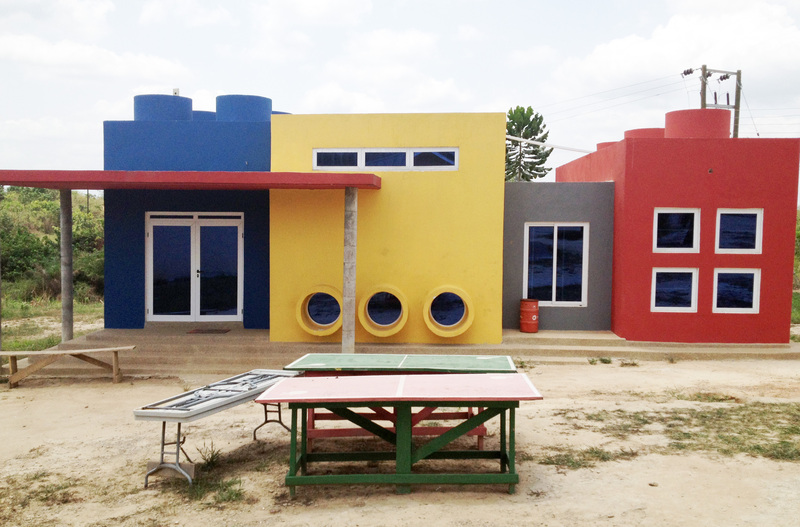 It is a magnificent place where the children at Touch A Life love to play, read, draw, relax, and socialize. It is clear that the Connor Creative Art Center is special from the moment you see it. 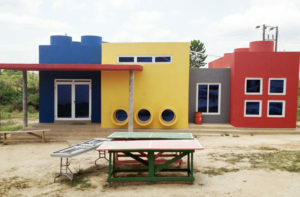 The outside appearance of the building, designed to look like a colorful Lego, exudes energy and life. Inside, every corner of the building has a hidden treasure. The décor of the interior is stunning with vibrant, colorful paint and Lego-themed artwork. 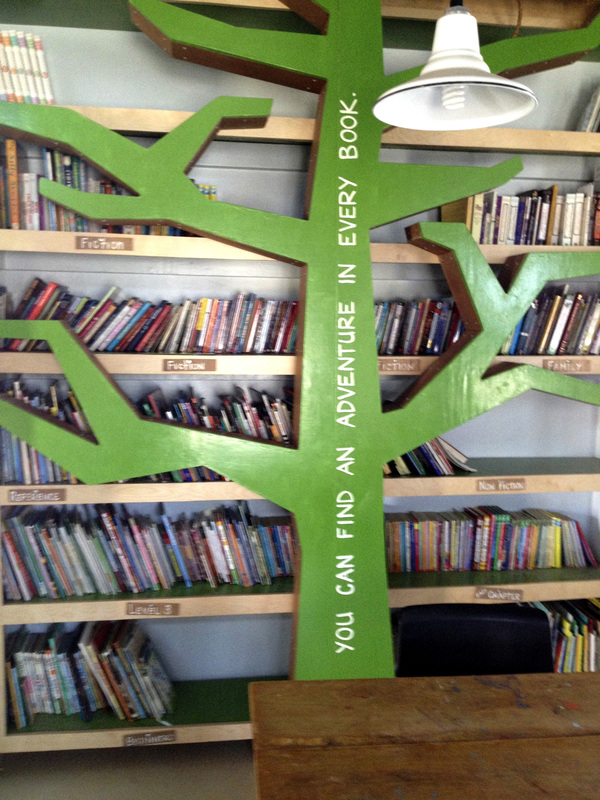 The art center contains a library, which the children often use to look through books or to get ideas for drawings. This is wonderful for their individual growth and development. Each child has their own box for storage, giving them a place to keep their most treasured items safe. This also adds to their sense of belonging in the art center. Sometimes the children just want to come to the art center to relax. Luckily for them, there is a space for that too! A small alcove with pillows and hammocks is the perfect place to lay their heads down to rest and unwind from a stressful day. Of course, the Connor Creative Art Center contains almost everything you need to make art! The supply closet overflows with art supplies and craft materials that cause’s the children’s imaginations to run wild with creative ideas. As an art therapist, one thing I appreciate most about the art center is the way the tables are aligned. The main room contains desks that are shaped into a circular formation. During art therapy groups, this allowed the children to maintain eye contact with one another and with me. In turn, an enveloping space was created that felt enclosed from the rest of the center, almost as if it were a sort of “holding environment”. 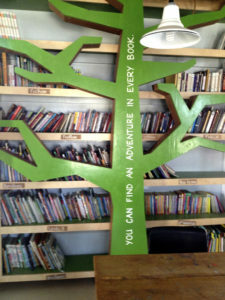 There is also a large rectangular table next to the library, which can always be used for group murals and fun activities where the children could interact more freely with one another. The tables and chairs were cleared on occasion in the main room to make space for dancing, yoga, and other fun movement activities. 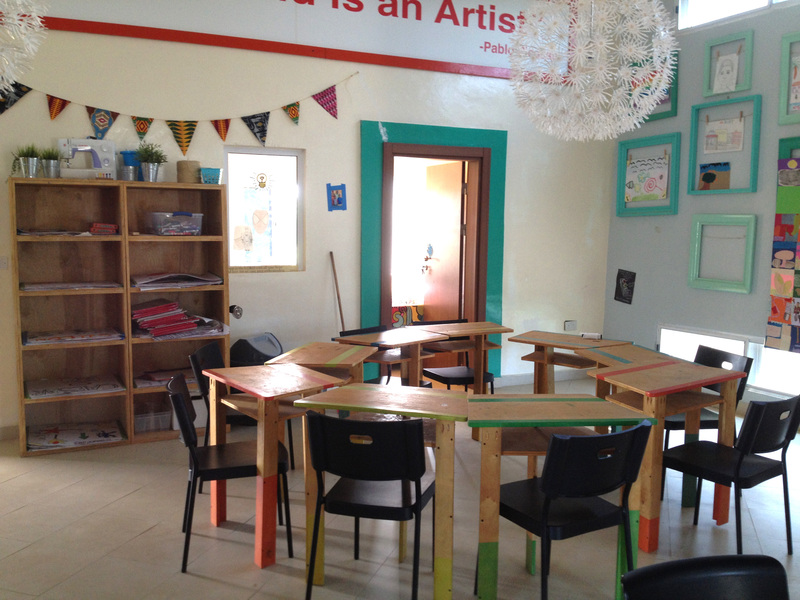 The Connor Creative Art Center is a truly special place that fosters creativity, growth, socialization, and healing. It has the added value of being a comfortable therapeutic environment where many children have said they feel safe. 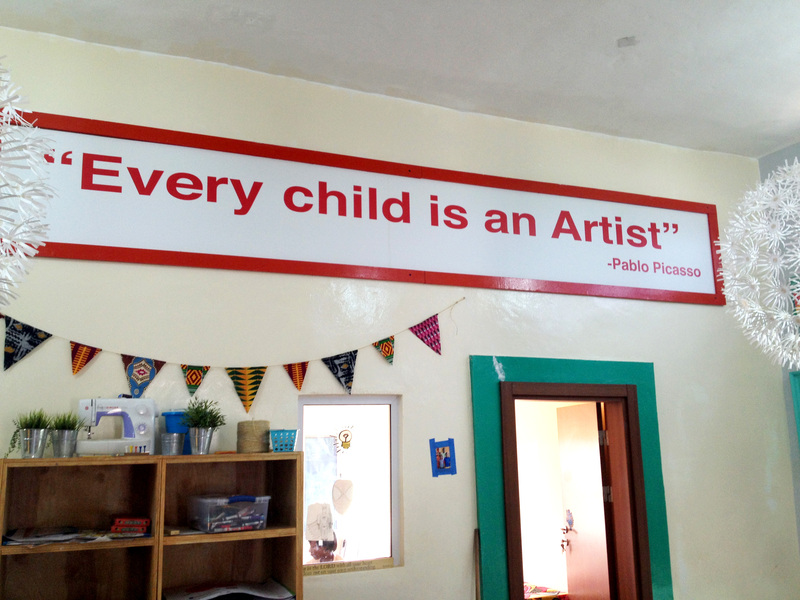 Having the art center has been a dream for myself and for many of the children. “All the time I like to come to the art center so that I can do so many things.” – Comfort A.